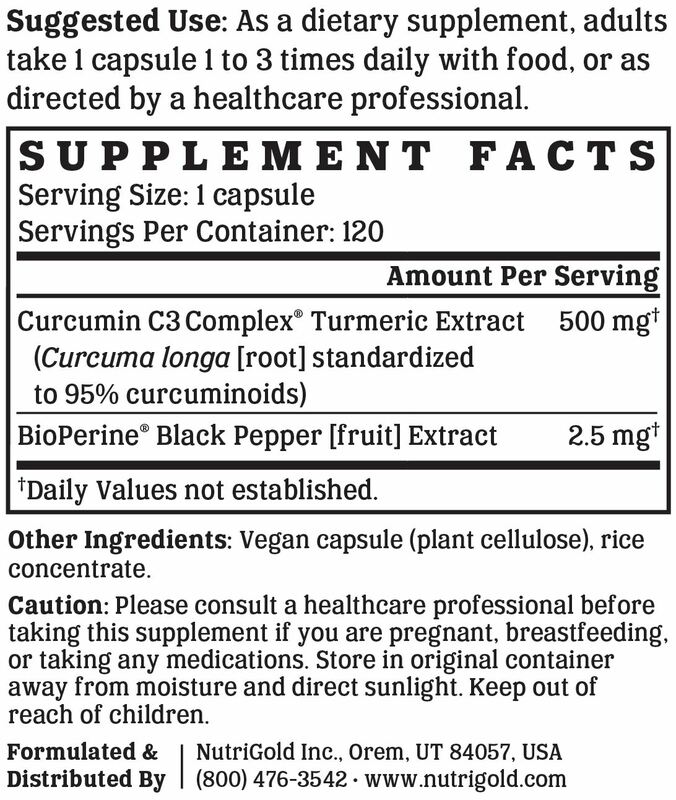 Not all turmeric supplements are created equal— Curcumin C3 Complex is the most clinically studied turmeric extract. It is standardized to 95% curcuminoids, including curcumin, demethoxycurcumin, and bisdemethoxycurcumin, in a patented ratio, and has been proven in multiple clinical studies to be therapeutically beneficial in supporting joint, cognitive, and liver health. Turmeric Curcumin Gold is formulated using Curcumin C3 Complex along with BioPerine, an extract of black pepper shown to enhance the bioavailability of curcumin. 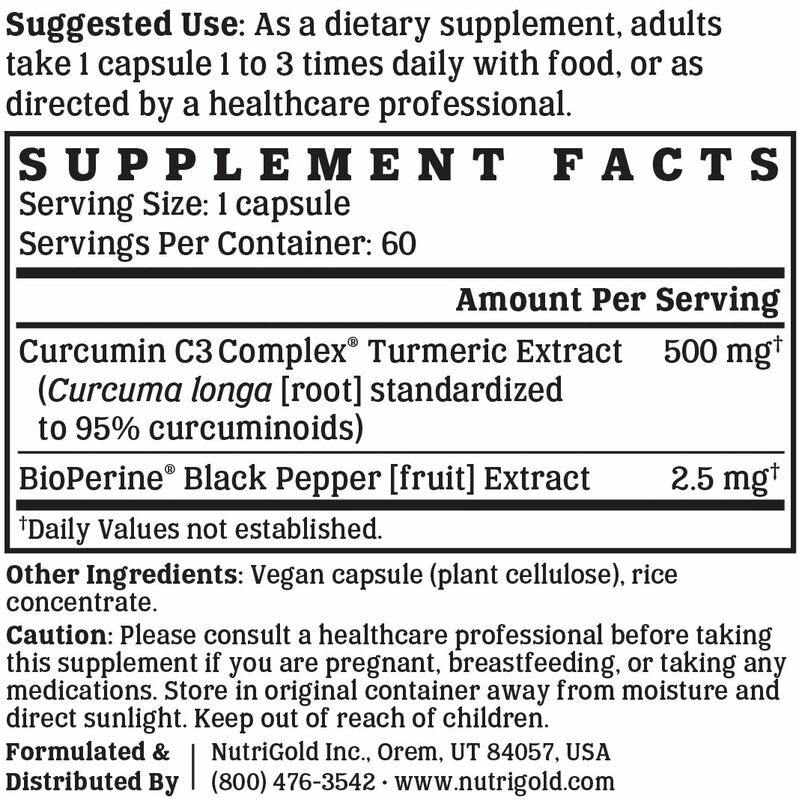 Turmeric Curcumin Gold is manufactured in the USA to industry-defining quality standards and is verified by independent third-party labs to meet identity, purity, and potency label claims.